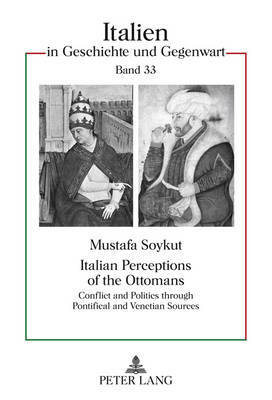 The book is about Italian perceptions of the Ottomans from Renaissance until the nineteenth century within the framework of political history. It is based on ample documentation of pontifical sources on the Ottomans from the Vatican Library and other archives, as well as Venetian and Italian literature on the Ottomans. Most of the pontifical sources belong to lesser known authors and come from unpublished sources with transcription in Italian and translation in English with commentary, among them Monsignor Marcello Marchesi, pontifical diplomat and councilor to Emperor Rudolf II during the Long War in Hungary, and Angelo Petricca da Sonnino, vicar apostolic in Istanbul and head of Propaganda Fide. In addition the book presents the contrasting views of the Ottomans vis-a-vis the Europeans from Turkish second-hand sources.